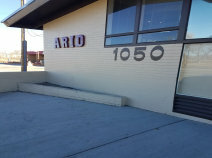 Arid has served the recovery community and families in the community at large for 60 years. It was originally incorporated as a non-profit in 1951 when it was known as the Industrial Club (officially the 1318 Eleventh Street Corporation). The club became known as “Arid” at about the time it moved to the metro-west area just outside of Denver in 1968. Arid is now a registered trade name of the non-profit corporation. Hundreds of people who are in or who are seeking recovery come through our doors each week and attend meetings. We host various events which include family members. We firmly believe that when either the individual alcoholic or the family and friends of that person enters 12 step recovery, families and the community benefit. The Arid Club welcomes you. The Club currently serves as host to 20 Alcoholics Anonymous meetings and 1 Al-Anon meeting each week. 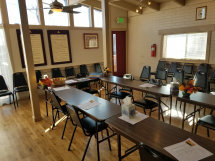 A meeting schedule is provided for your convenience on our website. We are located in Lakewood, Colorado at 1050 Wadsworth Blvd. Four blocks south of West Colfax Avenue on Wadsworth Blvd. For additional information, please call 303-238-5693. Someone is generally available to answer the telephone.